Torah and the other side with an engraving of the holy Rabbi Shimon Bar Yochai, of blessed memory. 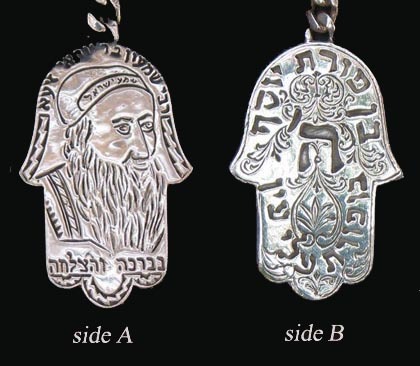 This Sterling Silver talisman is carefully prepared using old Jewish sources. blessings we all wish for including health, protection, luck, fertility, and a sharp mind. This keychain is guaranteed to promote success and satisfaction in all you do.